Next PostChloé Robichaud brings us the film "Pays"
"As a league, we are proud to have reached this point, where a female hockey player can finally realize her dream of becoming a member of the Montreal Canadiens organization." 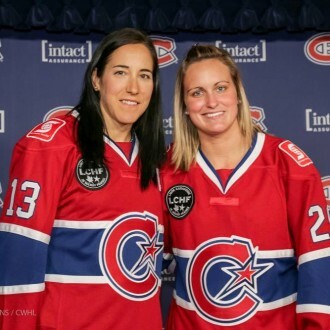 Les Canadiennes will hit the ice in their new jerseys for the first time for the team’s home opener against the Brampton Thunder on October 17, 2015, at 5:30 p.m. at Étienne Desmarteau arena. The Montreal Canadiens and the Canadian Women’s Hockey League unveiled today the new look and identity of the league’s Montreal-based franchise, which will officially become Les Canadiennes de Montréal as of the 2015-16 season. A tribute to the pioneers of the sport in the province, the name Les Canadiennes pays homage to one of the first French-Canadian women’s hockey teams in Quebec, a group of Francophone women who paved the way for future generations of players during the 1930s. The logo, a rounded “C” accented by a stylized star, reflects the direct association between the Canadiens and Les Canadiennes organizations, while simultaneously honouring the tradition of excellence that has been built by the winningest franchise in CWHL history for nearly a decade. 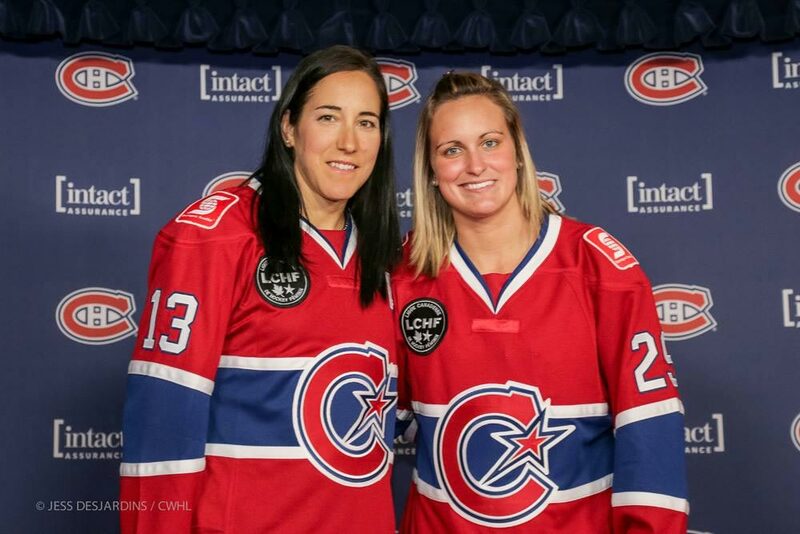 “We’re excited to welcome Les Canadiennes de Montréal into the Montreal Canadiens family,” said Canadiens executive vice president and chief operating officer, Kevin Gilmore. The rebranding process was a joint effort between members of the CWHL, Les Canadiennes and the Canadiens organization. In addition to promotional and financial assistance, as part of the partnership, the Canadiens will work with Les Canadiennes on sponsorship, marketing, consumer products and community initiatives throughout the season. “This partnership is the next step in the development of the CWHL in Quebec and further connects two outstanding professional hockey teams,” said CWHL commissioner, Brenda Andress. The full 2015-16 season schedule is available at www.lescanadiennes.com.